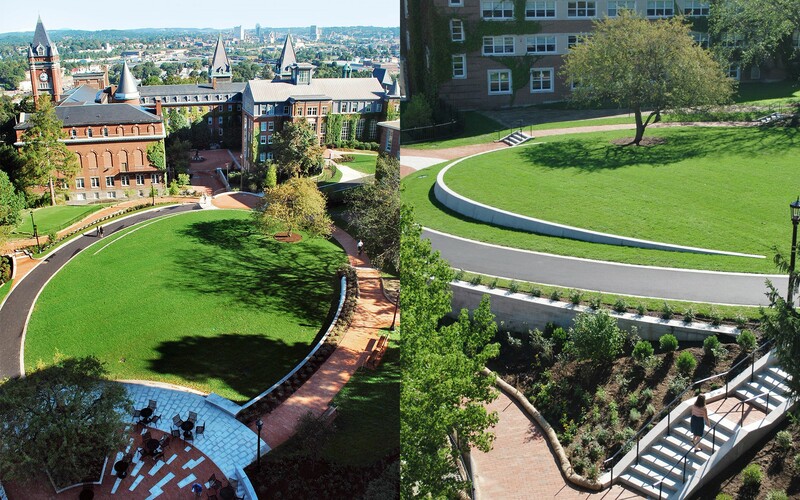 Following completion of a master plan for the upper campus at Holy Cross, CRJA-IBI Group was engaged to design a new outdoor gathering space adjacent to the Hogan Campus Center. CRJA-IBI Group designed the significantly sloping site with a series of new granite retaining walls to create new level open space for gathering and events. 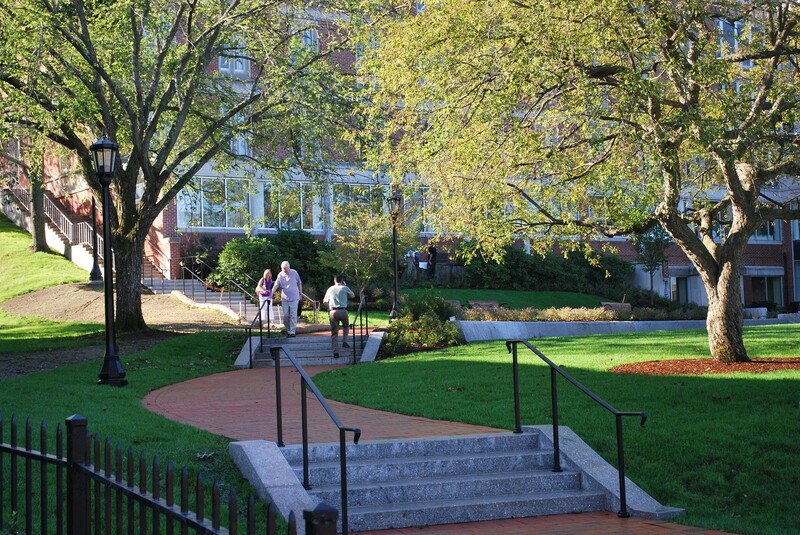 A new terrace for outdoor dining was developed adjacent to the building entry and is surrounded by granite engraved donor walls. 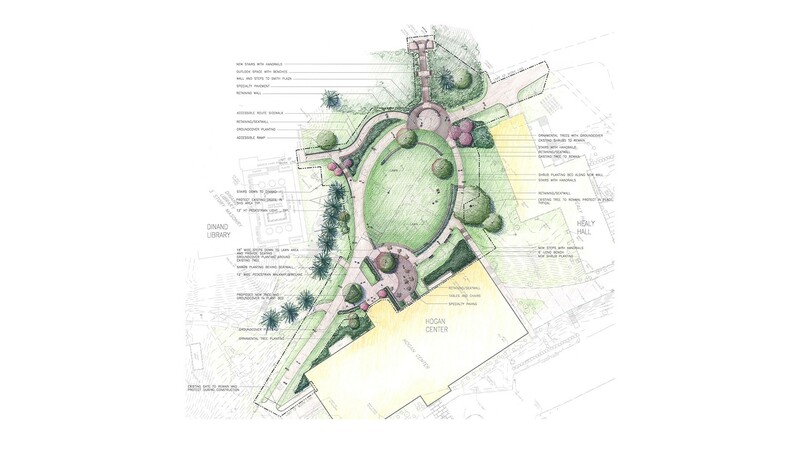 The design succeeded in creating stunning views of existing campus landmarks as well as distant views of the Blackstone Valley beyond. 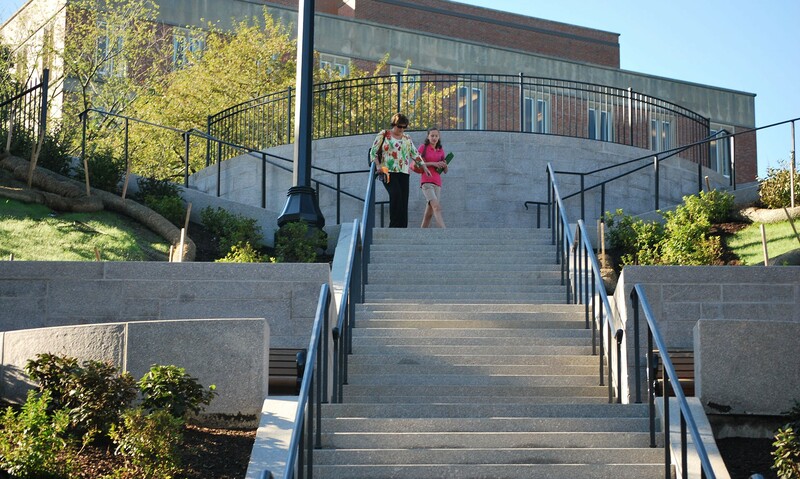 New walkways were developed to achieve universal accessibility between Hogan Hall and the adjacent buildings.